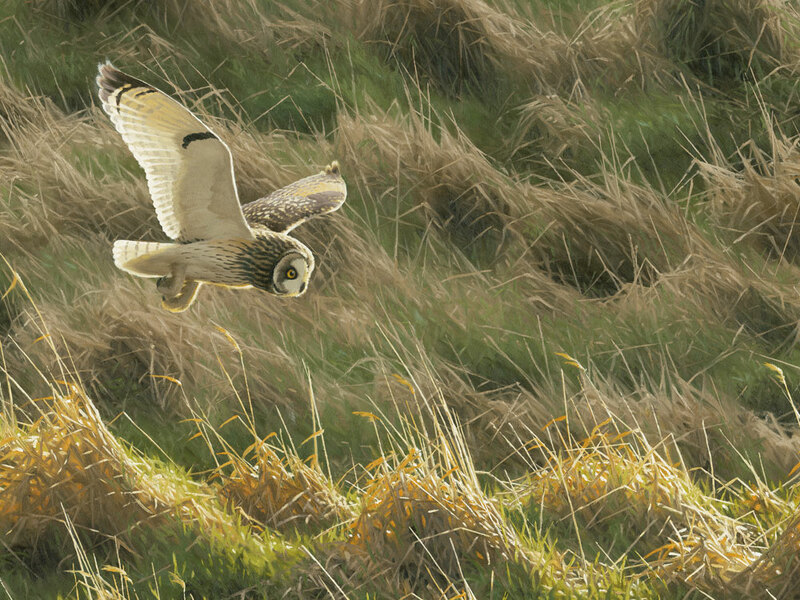 Short-eared owls can often be seen during the winter hunting over rough grassland and marshes around the British coasts, where milder weather generally keeps the snow at bay. Our resident population is usually boosted in winter by birds escaping the harsher continental weather, particularly from Scandinavia. 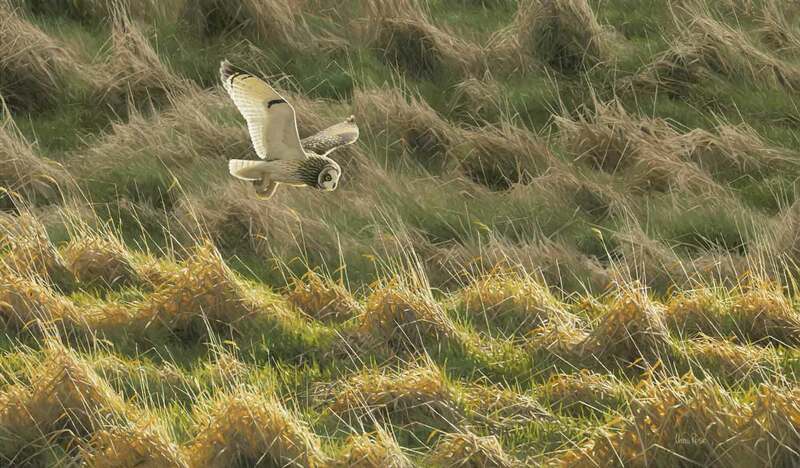 They are day-flying owls and one morning I watched this bird quartering a narrow strip of rough grassland by the coast of the Firth of Forth, near my home in southern Scotland. The sun shining through its wings gave it an almost angelic quality and its colours were echoed in the dead grass stems, sculpted into rhythmic patterns by winter winds. This painting can be seen at my one-man show at the Donald Watson Gallery, Waterston House, Aberlady, from 19th November 2016 to 11th January 2017. Please click here for more details.